The previous post showed Don under Parisian soft gray weather. In this picture that I shot in Atlanta, GA, we had great sunshine - great? Well I love sunny weather but it is not usually the best light you can get for portrait shooting as the main source (the sun) is very harsh and casts hard shadows that rarely make a model look good. But if the light is reflected in a proper way the reflector becomes the source and its large apparent size creates a softer lighting for your model. 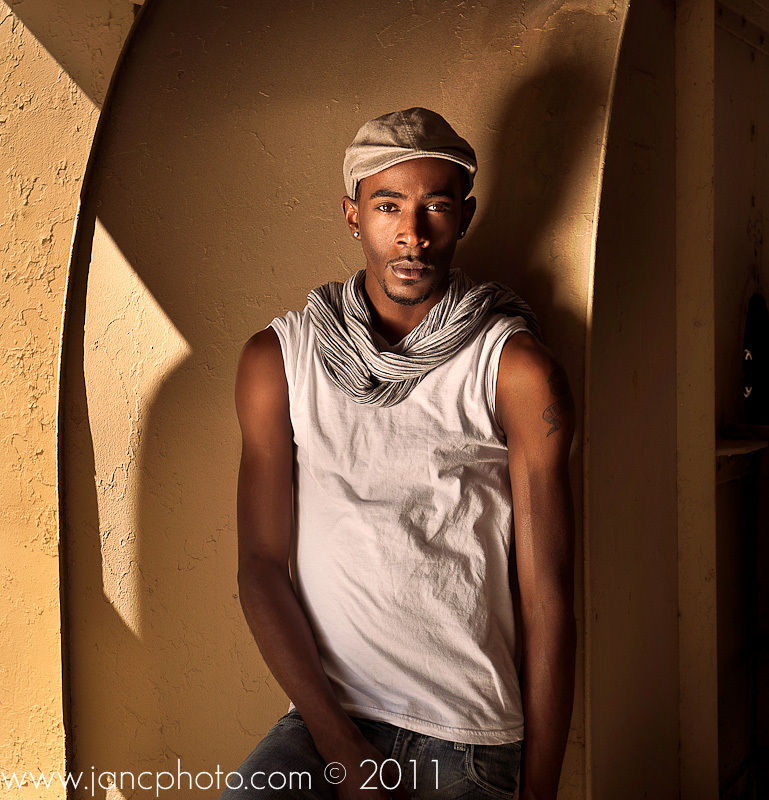 This is a good example: Jerome is lit by a reflector that is held in the direct sun light by my assistant Habeeb. Note the soft shadow cast by Jerome as opposed to the hard shadows around that come from the direct sun. I also used the curves in Photoshop to rebalance zones with different contrast.